Things seem pretty weird for YouTube’s biggest star right now. You can also see him act bemused at his appearance on TMZ, a website that also reports on stars like Rihanna and Justin Bieber. But this is just the reality of things right now: Pewdiepie is a celebrity, and his following is probably bigger than more traditional film stars. It’s a different sort of celebrity, of course. One that doesn’t get mobbed by paparazzi or fans when in Los Angeles, as you can see in his own video. You see Pewdiepie go up to a bus and jokingly say, “I’m Pewdiepie. How can you not know me?” while a camera crew records. He then shows footage near the big Hollywood sign in LA, and says that the show’s intro is going to have famous landmarks in it. 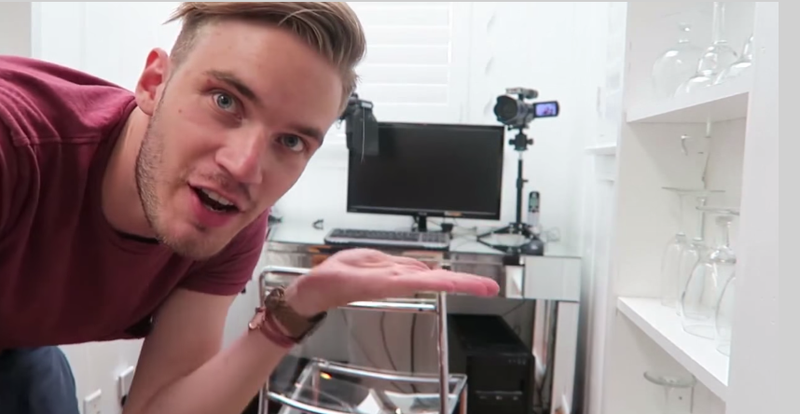 “The more I remember what happened today, the more I’m weirded out,” Pewdiepie reflects at the end of the video. Curiously, Pewdiepie also mentions that his monthly YouTube views have been going down “for a long time.” Given that, it’s not surprising to hear that he is branching out into things like TV shows and writing books. He’s gotta strike while the iron is hot, as it were.